Siofok is a city in Hungary on the southern bank of Lake Balaton. Having the largest population among towns around the lake, Siofok is often referred to as the capital of the Lake Balaton. The city is one of Hungary’s most popular holiday destinations, famous for its beaches and nightlife. Siofok is often called Hungary&apos;s summer capital as so many people flock there in the warm months. It is mostly famous for its huge nightlife and the never ending parties, especially during the weekends. The town is often called “the partying capital of Hungary”. But outside of the town center, there are many quiet and peaceful beaches and strands, making it a great destination for anyone. The party season usually begins around the end of June and the last party events are on the last weekend before the start of school in September. 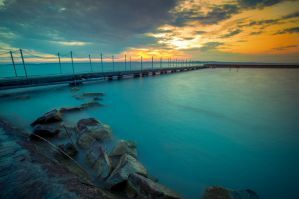 From end of September to beginning of May, Siofok is a quiet little town, attracting conferences and wellness tourists. Siofok is a charming getaway with plenty to offer and these hostels provide an excellent base for exploring the town and surrounding areas. 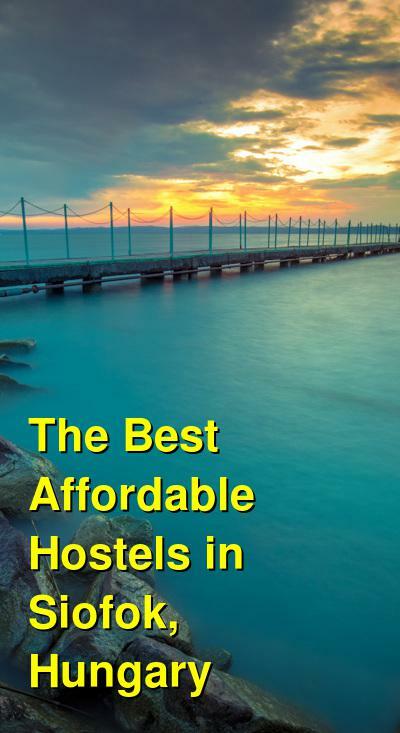 How much do hostels in Siofok cost? Muller’s Inn in Siofok, located in the most thriving city of Lake Balaton, offers one of the most reasonable prices in the area. As the summer capital of Lake Balaton, Siofok has a wide variety of entertainment programs that satisfies guests of all ages. The property offers 16 nice rooms and one apartment. Every room has its own bathroom with toilet, its own fridge, and a Satellite TV-set. Some rooms have terraces. The property owns a safe and free parking lot. There is also a seasonal restaurant in summer with Hungarian and international dishes. Muller’s Inn can be found close to the downtown area of Siofok, near to shopping, dining, entertaining and transport facilities. The property is only 400 meters from a free beach, only 500 meters from the central train and bus station, and only 200 meters from a supermarket. The property offers a free parking lot, a private garden, free WIFI, free BBQ use, and bicycles available for rent. The main building can accommodate 23 people in total. It has 1 apartment with a living room, two bedrooms, own kitchen, and bathroom for 5-6 people. Then there are rooms for 3, 4, or 5 person with shared bathroom. There is also a separate old summer cottage with own bathroom, kitchen, and garden that fits up to 10 people. It has 3 bedroom and a living room with two extra beds. The property has a free car park, a garden, a place for barbecue, and a common kitchen. Bella Villa, Siofok, located in the heart of Siofok, is ideally positioned in pleasant surroundings. Bella Villa is just 150 meters from the city center close to the water tower, Sio Plaza, and Kalman Imer walkway with its famous stalls and bazaar. Other attractions located nearby include the Petofi promenade, the Port, and the Big Beach of Siofok (Coke Club). Bella Villa offers guests the ideal accommodation solution for a perfect holiday and recreation in Siofok. The property offers single, self-contained, air-conditioned rooms suitable for up to two people as well as the double-bedded, balconied, air-conditioned studio apartments and even larger air-conditioned apartments suitable for families. The price of the apartments and rooms change seasonally. The price includes cleaning, bed linen set, Wi-Fi internet, and TV. Breakfast, air conditioning, and towels are available for an additional fee and airport transfers are available.